Skills: Natural Clairvoyant and Healer. 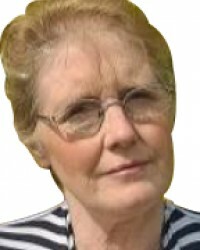 Grace is one of those Clairvoyant readers that you will want to speak to time and time again. Grace is a natural Clairvoyant who gives her clients peace of mind and real confidence in what their future holds. Even if you've never had a psychic reading before, she will make sure you feel at ease before she starts her reading. Grace is one of our top and most experienced clairvoaynt readers and she will give you direct answers, as her number 1 rule is honesty. She will simply tell you what she sees -so don't hesitate, give her a call now!